There are so many details involved when planning a wedding. 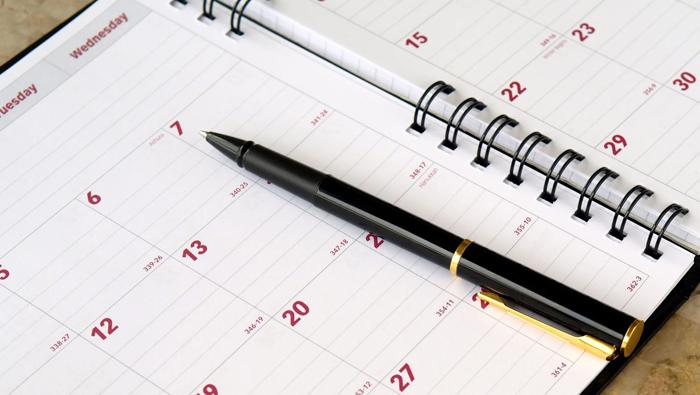 The first item on the agenda, and perhaps the most important one, is selecting a date. Sometimes you choose a date for personal significance, like the anniversary of your first date or the same wedding date as your parents. Other times you might choose a date based on venue availability. Some dates are chosen for seasonal availability, like a couple that specifically wants a fall wedding or a bride that insists on having peonies in her bouquet (requires a May or June wedding). Regardless, there are some dates that you should be aware of that have the potential to be problematic for either you or your guests. Most are associated with holidays or special times of the year. See below for some dates that you may want to avoid. How can a holiday cost you more? Quite simple! Flower wholesalers mark up their stock up to four times for Mother’s Day (second Sunday in May) and Valentine’s Day (February 14th). Not only is it harder to get flowers around these times of year, but you will pay through the nose for them. You may also have to pay more for delivery and labour at that time of year as a floral designer has plenty to do within their own shop and feel that their time is at a premium if they have to leave to go do set-up for your wedding. Sometimes “cost” can also refer to the quality of a product as well as labour charges. Most flower wholesalers shut down between Christmas and New Year’s. That means any weddings held between December 24th – January 1st have flowers that will be delivered prior to Christmas (another time of year when we see a spike in flower sales). While flowers won’t be as marked up as much as Mother’s Day or Valentine’s Day, the flowers available to you during that time will be much older and not in as good condition as if they were cut and delivered to your florist 2 or 3 days before to your wedding (normal delivery conditions). We’re seeing more and more couples opt for a Sunday wedding. Part of this is due to discounted rates that venue may offer. (Fridays and Saturdays are prime dates that clients pay a premium for. Weekdays and Sundays usually cost less.) However, Sundays can be problematic for sports enthusiasts. In particular, major sporting events such as Super Bowl Sunday and Grey Cup are planned long in advance. Whenever possible, you are best to avoid these dates at all costs unless football is part of your wedding theme and you plan to bring in a myriad of TVs to ensure coverage for those exceptional die-hard football fans. Some holidays are meant for family gatherings, such as Thanksgiving, Christmas, and Easter. Once again, these are periods of time that we normally see huge increases in hotel and travel costs that your out-of-town guests will not appreciate. These same people may also prefer to spend time with their family than pay a lot to attend your wedding. Your vendors may also charge higher costs as labour is more expensive. Remember, that when you hire vendors for holiday dates, you’re asking for these people to be away from their own family celebrations. If they are going to accept a wedding, then expect to pay more for their services. *** Special note – some companies give the Good Friday holiday; others give them the Monday instead; some companies don’t recognize either. Whether you are superstitious or not, there are lots of people out there who are. There are dates that are considered unlucky, such as Friday the 13th. Some would be worried that the date might cast a dark cloud over your future marriage. Others who are extremely superstitious may actually avoid leaving the house on those dates. Most just prefer that you avoid this date entirely.